At the World Federation of Chess Composition Meeting in Ostróda, 1-8 Aug 2015, it was voted to add Article 17A to the Codex for Chess Composition. Dead Reckoning (DR) is simply a recognition of the impact to compositions of the 1997 "dead position" rule, and had been controversial since its inception in 2000. It came with significant creative potential (particularly for retrograde analysis) but also rendered certain pre-existing problems unsound. The new Article 17A removes this controversy by stating that by default the dead position rule applies only to retrograde analysis compositions. So DR now has a similar status to the 50 Move Rule (Article 17). A few non-retro DR compositions are negatively impacted by the new convention, but most DR problems are retros, so personally I felt it was a sacrifice worth making for what is a big endorsement of DR. And composers of selfstalemates and to a lesser extent directstalemates, helpstalemates & draw endgame studies no longer have to worry about their work being unintentionally impacted by the dead position rule. I am very grateful to the wonderful chess composition community for welcoming this trouble-making "independent spirit" to their fold. Over the last few years, I've chosen to spend chess time helping to maintain the content of the community's PDB Chess Problem Database, rather than updating my own chess website here. PDB is a free, easy-to-use source of over 400,000 compositions, vital for composers seeking inspiration, or wanting to survey prior art. However, I'll maintain and extend the content on my own website from time to time. Thanks for coming here. A chess problem is a work of art hidden in a chess puzzle. In 2000, I discovered that I love designing retrograde analysis chess problems ("retros"). 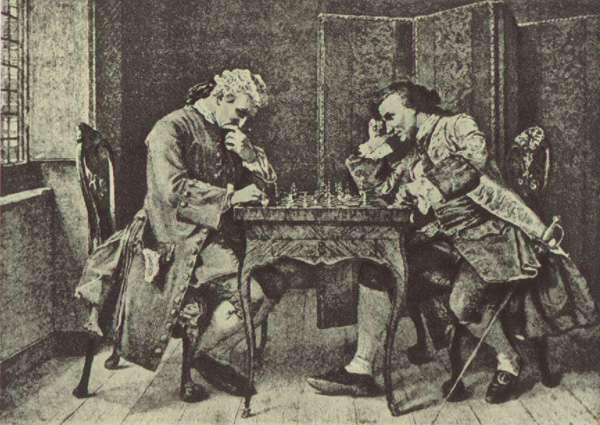 The objective in normal chess problems is to speedily checkmate the opponent, but in retros the future of the game is more or less irrelevant; instead you have to use detective skills to figure out events in the history of the game. When I was a young one, I enjoyed Raymond Smullyan's book "The Chess Mysteries of Sherlock Holmes", which is still the only popular introduction to the retro field, but the problems are "elementary" :-) and it lacks a bibliography. At some point around that time, I met the friendly endgame specialist A.J.Roycroft, who sent me a chess problem magazine, containing one extremely challenging retro which at that age I completely failed to comprehend. The composition was based on the 50 move rule and I now realize that the composer, Nikita Plaksin, is legendary in this area. Anyway, stuck between the too-easy and the too-hard, I put the subject down. Some life happened. Thirty years on, I stumbled across the curious idea that became "Dead Reckoning", and started a correspondence, still-continuing, with Noam Elkies, who introduced me to chess problem composition, and to the amazing souls who are part of this world. I was hooked! - International Arbiter rules: "DR is OK!" Over time, I broadened my composition interest to other areas of composition, particularly proof games and helpmates. I also retain a fascination for quirky interactions of the rules and conventions. Thanks to all the chess problem community for support and encouragement. The Links Page is here. Any comments, corrections, new problems or suggestions, please email me - I do respond.